Riyadh: Saudi Arabia’s listed companies could see holdings by foreign investors rise to 10 per cent when shares are included in index providers MSCI and FTSE’s emerging markets indices, the chief executive of Tadawul said on Monday. Khalid Al Hussain said he expected equities on the Saudi bourse, Tadawul, to attract $5 billion (Dh18.35 billion) of passive funds inflows after the FTSE Russell inclusion. 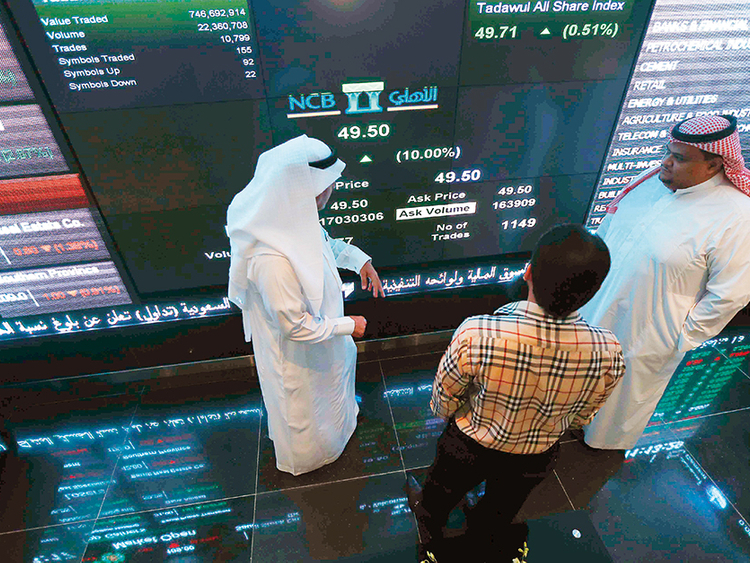 Foreign investors currently hold 5.9 per cent of Saudi shares. Saudi shares, which have gained 9.6 per cent so far this year, on Monday joined the FTSE Emerging All Cap Index with a weighting of 2.9 per cent. In May, Saudi shares will join the MSCI Emerging Markets Index. The number of qualified foreign investors is expected to double from the current 730 before the MSCI inclusion, Al Hussain said. The Saudi main equities index rose 0.2 per cent at the open on Monday.